Mr. Bradford has over thirty-five years of experience in commercial litigation (including class actions, stockholder derivative suits, and tax litigation), product liability, aviation litigation, construction litigation, and insurance and securities litigation. He has represented many clients in high profile cases both at trial and on appeal. His trial and appellate work have resulted in approximately fifty published opinions. Over 50 cases in which Mr. Bradford participated resulted in published court opinions. Two of the cases changed and/or extended the law. 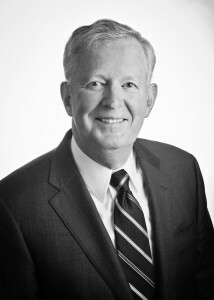 Mr. Bradford handled the appeal of Parham v. Foremost Insurance Company in which Alabama fraud law was changed from the “justifiable reliance” standard to the “reasonable reliance” standard. 693 So.2d 409 (Ala. 1997).